RELOADERS CORNER: Why Not Flat-Base? Good question! I have something that at least has elements of an answer. A boat-tail bullet is the standard for the majority of rifle bullets, and the domineering choice of long-range shooters. Competitive Benchrest shooters favor flat-base bullets. 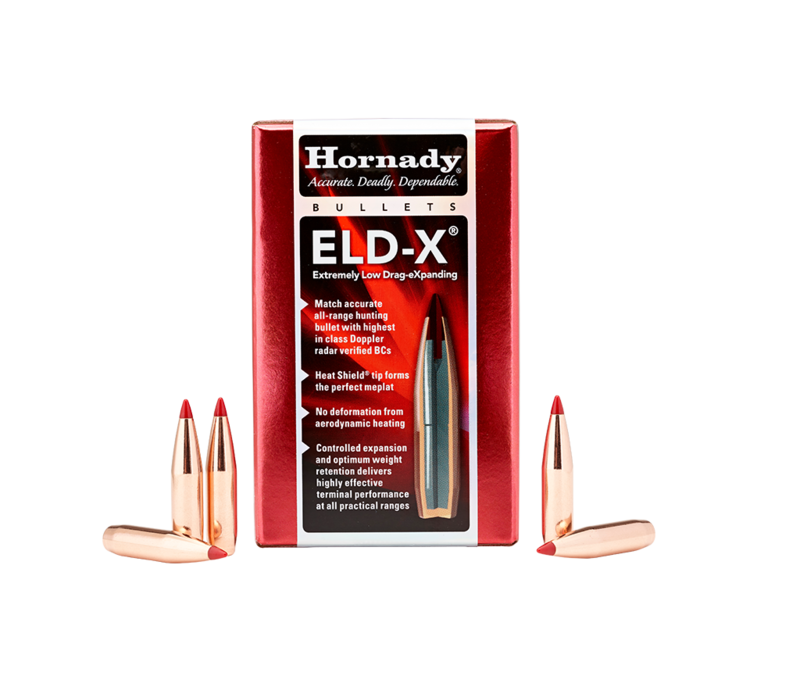 Flat-base is also popular with varmint-hunters: the stellar Hornady V-Max line for good instance. We all want best accuracy, so why the difference? Consider the overriding characteristic of a flat-base bullet: it’s shorter. Now, since not all flat-base bullets are shorter overall than a same-weight boat-tail (they’re usually not), I seriously need to clarify that! Clarification: a flat-base can be shorter, and lighter, than it would be if the same ogive or nosecone profile used then added a boat-tail. More: if they’re both the same weight and at least similar in profiles, a flat-base often has a longer bearing area than a boat-tail bullet, again because the boat-tail is sticking down there, or not. These are both a bonus to Benchrest or any other shorter-distance circumstance where utmost precision is the goal. (When I refer to capital-b “Benchrest,” I’m not talking about a shooting rest, but a competitive sport.) Shorter bullets allow slower barrel twists (bullet length, not weight, chiefly governs needed twist). Slower twists offer a miniscule improvement in damping a bullet’s orbital pattern in flight, and considering the likewise near-caliber-size 5-shot groups these folks are after, that matters. Bullets fly in a spiral, like a well-thrown football. Again comparing those with similar profiles, flat-base bullets stabilize faster and sooner than boat-tails, it’s a smaller spiral. Bullets with longer bearing areas tend to shoot better “easier,” less finicky. And, flat-base bullets can provide more cartridge case capacity. Here’s unique. Jimmy Knox of the original JLK Bullets once made flat-base versions of his Davis-designed VLD (very low drag) boat-tails. So this is a .224-caliber flat-base 65gr LD (low drag), which is the same as his 80gr VLD shown with it, just no boat-tail. Why? It was more of a “Why not?” Idea was to provide better downrange performance for those with slower-twist-rate barrels, and to retain the flight pattern and in-barrel characteristics he liked about flat-base (and way on more speed). This idea was popular among some better High Power shooters about 15 years ago. All those good points make it sound like flat-base provide superior accuracy. They might. By my experience, they do, but! Distance defines the limit of that truth. The boat-tail provides an aerodynamic advantage, and the farther it flies, the greater this advantage. There are well-founded beliefs that boat-tails are less influenced by gas pressure thrusting against the bullet base. A good and most knowledgeable friend at Sierra told me that a boat-tail has an effectively more concentric radius at the base due to the junction point created by the angle on the tail and the bearing surface. Further, a flat-base, is, in effect, harder to make so that the base will have a radius that’s as concentric with the bullet bearing surface. Manufacture care and quality (related), of course, makes that more or less true or false. If the idea is that a good boat-tail is “easier” to make, that this shape makes the end product more forgiving of manufacturing errors, then I’ll accept that since it’s pretty hard to argue against, but, again, I really don’t think that boat-tail designs simply take up slack in quality tolerances. I’m sho no rocket-surgeon but I know that the tail slips the air better. Same LD bullet compared to a Hornady 68gr HPBT. The 65 is a tic shorter overall but, because it’s a 15-caliber (!) ogive, way less bearing area (exception to the “rule” big-time) than the boat-tail next to it. The 65 had a higher BC but was über-tricky to get to shoot well. I could get these to just over 3000 fps in a 20-inch .223 Rem. Mostly because of the tiny bearing area. This can get pounded completely into the ground because adding a boat-tail (and I’ll show a great example of just that) to a similar nosecone also adds weight to the bullet, and that increases BC. It’s not exactly a chicken-egg question, though, because the tail helps otherwise. Here’s a 52gr boat-tail from Hornady (right) next to a 52gr custom Benchrest bullet. I said the overriding difference is that a flat-base bullet is shorter, but that’s not referring to overall length. A flat-base is shorter than it would be as a boat-tail, if the other dimensions were the same, and usually has a longer bearing area. You might have also heard said that boat-tails shorten barrel life because the angled base directs burning propellant gases more strongly at the barrel surface. They do, and many steadfastly uphold that as a reason against them. More in a bit. However! Beyond 300 yards, at the nearest, there are no disadvantages in using boat-tail bullets that come close to surpassing their advantages. There’s another debated advantage of a flat-base and that is they tend to shoot a little better in a barrel that’s about to go “out.” I’m talking about a good barrel that’s pushed the limit of its throat. That one is true too! And speaking of barrel life, another is that flat-base bullets produce less flame-cutting effect than boat-tails. A barrel lasts longer if fed flat-base. True! Flat-base bullets “obturate” more quickly. Obturate means to “block,” but here it means to close a hole, which is a barrel bore, which means to seal it. The angled boat-tail creates a sort of “nozzle” effect. Can’t much be done about that, though, because when we need boat-tails we need them. That is, however, a big score of help for the varmint hunter. There is a relatively obscure “combo” out there called a “rebated” boat-tail. This has a 90-degree step in from the bullet shank (body) to the tail. It steps in before the boat-tail taper is formed (they look like a flat-base with a boat-tail from a bullet a couple of calibers smaller stuck on there). 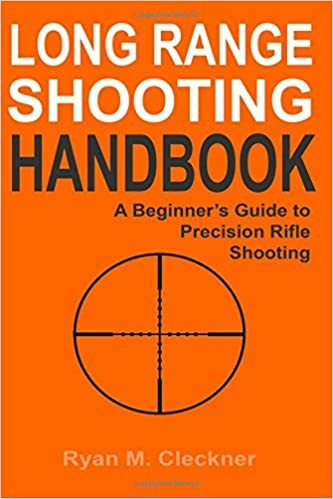 It’s common for competitive .308 NRA High Power Rifle shooters, for instance, to switch from the popular Sierra 190gr MatchKing to a Lapua 185 rebated boat-tail when accuracy starts to fall off due to throat wear. Sure enough, the Lapua brings it back for a couple hundred more rounds. Here’s a rebated boat-tail. 115 grain 6mm from David Tubb. If anybody with heavy equipment making bullets for sale out there is listening: I’d like to see some more rebated boat-tail designs! It is, though, a challenge to make precisely. So. What? So what? Well, if you are big into small groups, I very encourage some experimentation with flat-base bullets. Again, distance is the only limit to their potential goodness. 100 yards, yes. 200 yards, yes. 300 yards, no! One thing is for certain: Flat-base bullets are not nearly as easily seated! Some have an edge-radius, some don’t, but, they are very easy get started crooked, or difficult to get started straight, same effect. I strongly recommend taking steps to square case mouths and use a generous chamfer. I spend a lot of time telling everyone else what they should do, and probably more time telling them what not to do, or what they could do… I thought it might be best to tell you all exactly what it is that I do to prepare a batch of ammo for a tournament. That’s a quick way to show you what, clearly and obviously, matters to me. I admit: I don’t always do all the things that I talk about. A big part of my role here is to pass along information, answer questions before they’re asked, in a way of looking at it. There’s information, and then there’s action, and that’s not a contradiction, to me. For instance, I can tell you all about case neck turning, and metplat uniforming, and many other preparation steps. I have done them all, sometimes do them, but dang sho not always. Believe me: I have tried everything and much, much more than I’ve ever talked about in these paragraphs. Following is what I have found works to my satisfaction. Since I’m dealing with a fair amount of cartridges at any one time, there is, no doubt, a time and effort element that’s important to me. In other words, what’s coming next are the things I really think I must do to give my score the best boost I can reasonably give it. Step One: Get my cases together and size them. I load in 100-round batches, so I start with five boxes, or whatever corresponds to 100 rounds. Without so much as a second glance, I run them all through my full-length sizing die: lube each and cycle it through. If nothing else, most new cases are not nearly ready to load. The case necks are usually banged up, not round, so at the least I’d need to size the inside and outside of the case neck, and I’ve found that, while other appliances will suffice for that, it’s just easiest to use my sizing die. Step Two: I trim them all. This isn’t done as any matter of safety, just consistency. I set my trimmer to at the least touch each case mouth. This is very important! The next prep steps rely on having cases that are all the same length. Step Three: After chamfering inside and outside (I use a 17-degree on the inside and a standard tool for the outside) I run a flash hole uniformer through each. This is why it’s important to have them all the same height. That way the uniforming tool cuts to a consistent depth. Step Four: Primer pocket uniforming. I run each through this process. Now, I have had some lots of brass that make this normally simple process a chore, and that’s because the reamer is too snug a fit to the pocket. We all know that primer pockets are at their smallest on new cases. That is, by the way, one reason I’ve mentioned that the primer pocket “feel” is a leading indicator after the first firing as to the pressure level of the load. In keeping, there are times when I wait until recycling the first-fired cases before running the uniformer. It depends on how readily the cases will accept the reamer. Note: I consider my “best” ammunition to be that which I load on my once-fired cases. At the same time, I won’t hesitate to use new cases for a tournament (but not for a Regional or bigger event). Over a whopping lot of time keeping notes, my “second-firing” rounds tend to shoot a tad better, but it’s a miniscule amount. That’s why I don’t really sweat over the primer pockets on the first go-around. Step Five: Roll them all! I run all the cases through a concentricity fixture, aka: spinner, to check runout. I segregate on the following criteria: “flatliners” no visible runout, less than 0.001, 0.001, up to 0.0015, more than that… Five piles. One reason I do 100-round batches is because I need, technically, 88 rounds for a tournament. Since I am using “name-brand” brass, I easily find my 44 prone-event cases that are going to be no more than 0.001 out of round. The remainder are proportioned better to worse for the 200 yard events. It’s not that I don’t think each round matters, because it does, and, honestly, the 200-yard Standing event is what wins a tournament, but that’s way on more on me than the ammo. A case with 0.015 runout is not going to cause a “9.” That case will produce groups way inside the X-ring. Now. I fully realize that segregating by runout, concentricity (“centeredness”), is not the same as actually measuring case neck wall thicknesses. However! “Flat-liners” are what ultimately result from consistent case neck walls. Since I have also sized the inside of the case neck, not just the outside, the spinner does give an accurate indication of case neck wall consistency. After sorting by runout, here’s what I get, or what I got once… These were graded (left to right) 0.0000 (no perceptible runout), up to 0.0010, 0.0010, 0.0015, and more than that. So, here, there were 37 cases that were at or near the level of neck-turned cases, and another 37 showing only 0.001, but way on easier. Then I prime, fill, seat. Get some sleep. 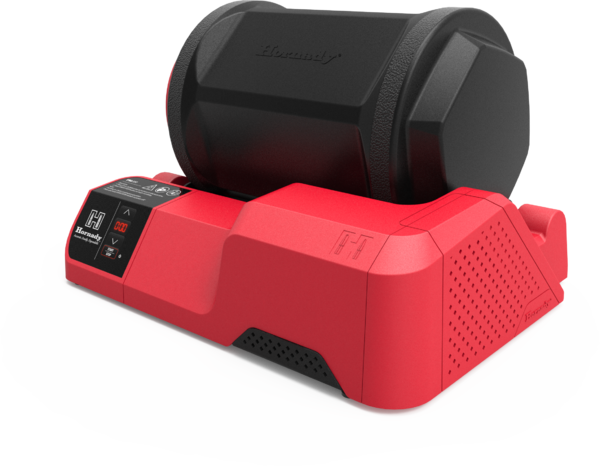 Hornady has just announced their new products for 2018, from the much anticipated new reloading tools, to innovations in ammo and projectiles, Midsouth is eager to fill our shelves with their new offerings! Read on for a brief breakdown of what’s coming soon! Clean and polish brass cartridge cases to a brilliant shine with the rotary action of this tumbler, coupled with its steel pin tumbling media (included). Use in conjunction with Hornady® One Shot® Sonic Clean Solution. Six-liter drum holds 5 pounds of brass cases. Set tumbler to run for up to eight hours in half-hour increments using the digital timer. 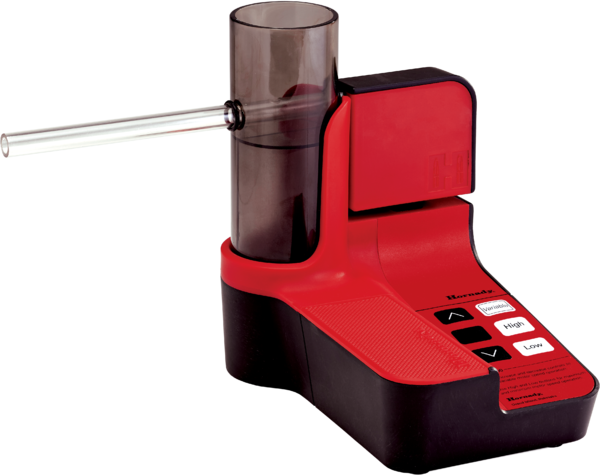 Check out all the new items coming to our reloading category by clicking here! Speaking of reloading, lets take a look at some of the new projectiles being developed by Hornady! 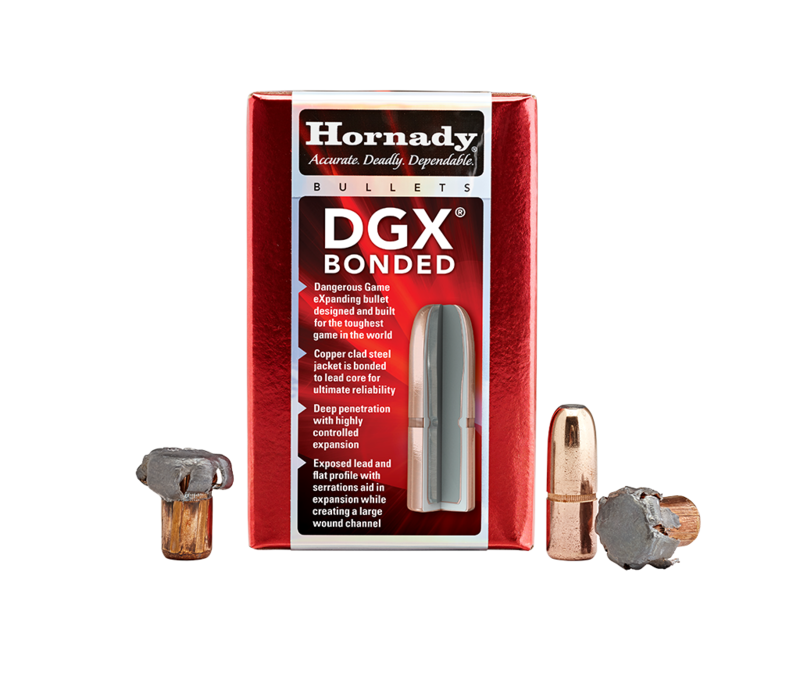 The thicker 0.098” copper-clad steel jacket of DGX Bonded sets it apart from other dangerous game bullets, allowing it to tear through tough material like hide, muscle and bone. DGX Bonded features a flat nose with serrated sections to deliver a uniform expansion from 100 to 150 yards and straight penetration, reducing possible deflections. There’s also a few new calibers coming to the ELD-X line of projectiles. The Extremely Low Drag – eXpanding bullets are a technologically advanced, match accurate, ALL-RANGE hunting bullet featuring highest-in-class ballistic coefficients and consistent, controlled expansion at ALL practical hunting distances. You can find them right here at Midsouth! Rifle makers currently chambering the 6.5 PRC include GA Precision, Gunwerks, PROOF Research, Stuteville Precision and Seekins Precision. Check back often as additional gun manufacturers confirm chambering the 6.5 PRC. There’s a lot more to cover, and information is still coming in daily on the new products announced for next year. Stay tuned for a more in depth look at these items as we get a chance to demo them. The HAP (Hornady Action Pistol) bullet is the renowned XTP jacketed hollow point without the grooves cut into the jacket, simplifying the manufacturing process. What you end up with is an accurate, consistent, and economically priced jacketed bullet. Reloading data is available for this bullet from multiple manufacturers, there’s no coating to shave off or exposed lead to worry about, and it doesn’t break the bank when you want to buy in bulk. In the video below I put the HAP 9mm bullets up against a few steel targets, and give you some more info. The sound on the video is a little muffled, due to a windy day at the range. I load and shoot over 20,000 rounds of ammunition a year, so when I’m shopping for loading components, the main things I look for are economy, ease of use, and consistency. The Hornady 115 grain HAP bullet meets all of those requirements and more for competition and target shooting. 115 grain bullets are an industry standard for 9mm and most guns should be able to run them right out of the box, so using it as a go to bullet weight makes a lot of sense. 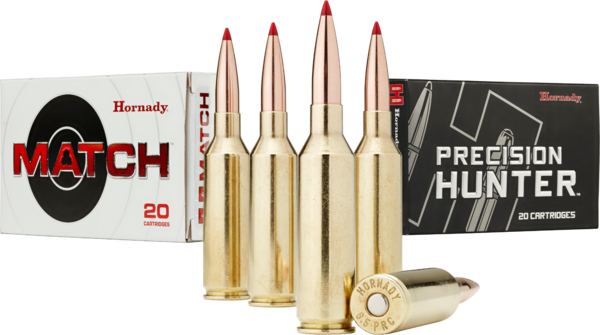 Midsouth now exclusively has the Hornady 9mm HAP bullets at plated bullet prices. Click Here to head over, load your own, and put them to the test! Priced for Plinkers, Built for Pros!